Along with housing one of the leading fashion markets in the nation, FIG doubles as one of the most coveted event spaces in Dallas. 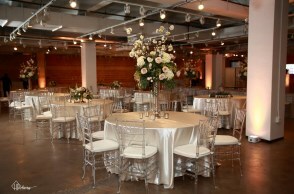 The FIG special events venue is approximately 28,000 square feet of sleek, contemporary loft-space within a mid-century modern building in the heart of Downtown Dallas. With exposed brick walls, polished concrete floors and natural and directional lighting, and additional spaces including a promenade adjacent to a private park, a spacious lobby and intimate lounge, the space is a blank slate that can be transformed into the optimal backdrop for limitless events. From formal seated dinners and cocktail receptions, to art shows and weddings, FIG can accommodate between 20 to 1,500 guests. To schedule a walkthrough or obtain a quote for the event space, please fill out the “Book an Event” form. A staff member will contact you upon receiving your request. For more information, and to schedule a walkthrough or obtain a quote for the event space, please fill out the “Book an Event” form. A FIG staff member will contact you upon receiving your request.